Peace Line Monthly / Habibollah Sarbazi – First Glance: Baluch People are deprived of a TV or Radio that would voice their issues. Islamic Republic media have boycotted Baluchistan’s news, and what is being broadcasted of Baluch people has an untrue show like quality. Overall the Islamic republic state TV and Radio programs that are about the violation of human rights of the Baluch people, are not true to the existing reality of these people and they are literally “Blackwashing” and “Lies”. In other hand the lack of independent domestic websites, newspapers, magazines, weeklies or even monthlies that could freely voice the reality of this province which is known as the “most disadvantaged” and the “most security atmosphere” of Iranian provinces, has contributed to the problems. The weakness of the civic society has also substantially increased these issues; all together they have killed the sparkles of hope among people who are carrying the weight of enormous oppressions and deprivations on their backs. Second Glance: Campaign of Baluch activists in its 3 years of activism with correct and timely information and news publication on violation of rights of Baluch people has tried to take a major step forward in breaking the media’s silence about Baluchistan. Considering the “deliberate neglect” of the domestic media, we tried very hard to draw the attention of the independent and foreign Medias and TVs to this region; however unlike expected, there has been very little attention and practically although a lot milder, yet we experienced the same “neglect” once again. Major Medias have repeatedly with various excuses rejected printing or broadcasting news in regards to rights of Baluchistan, these news had even had the criteria of a professional news, and we did not receive the desired companionship and cooperation. Third Glance: with certainty I can say “Human Right Activist in Iran, HRAI” and in particular the “Human Rights Activists News Agency, HRANA” have been Baluchistan’s glimmer of hope. If I and my colleagues in the campaign of Baluch Activists did not come across HRAI, perhaps I could have with full confidence said that: The human right activism in Iran has become factions and mafias. Even though other independent human rights activists, associations and centers have been great and pleasant, yet none in any period (at least in this 3 years that the Baluch activists’ campaign has entered the field) were able to be as a great companion to Baluch people as “HRANA” has been, and to be effective and successful as HRANA in breaking the media’s silence and the dominant centralized media. 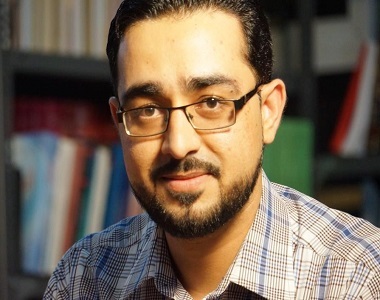 Therefore, as the director of the Baluch Activists Campaign and on behalf of our Baluch audiences, I will use this opportunity to thank HRANA; With the hope that this organization will more than ever stand by Baluch people in voicing the cries of oppression and deprivations of “Sistan And Baluchistan Province” and will be a strong platform for empowering the civic society.